My son made these at school, and they're super cute! They only take a few minutes to make. 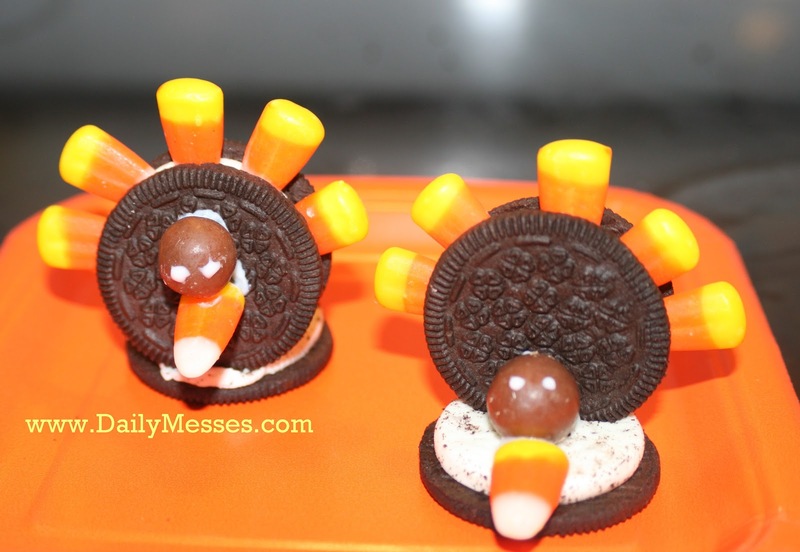 Double Stuffed Oreo cookies (2 per turkey cookie). Yes, they have to be double stuffed. 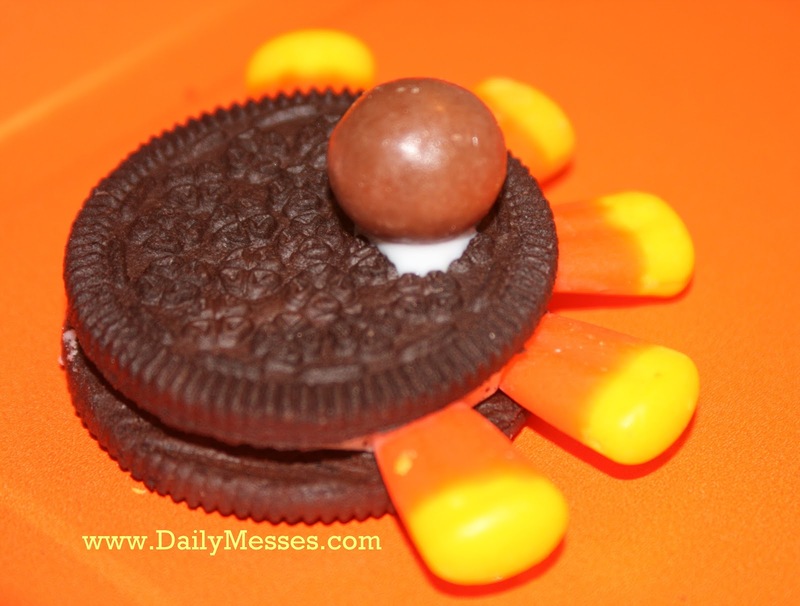 Otherwise the candy corn will not fit right. Trust me, I tried. Chocolate balls, such as Whoppers. 1. 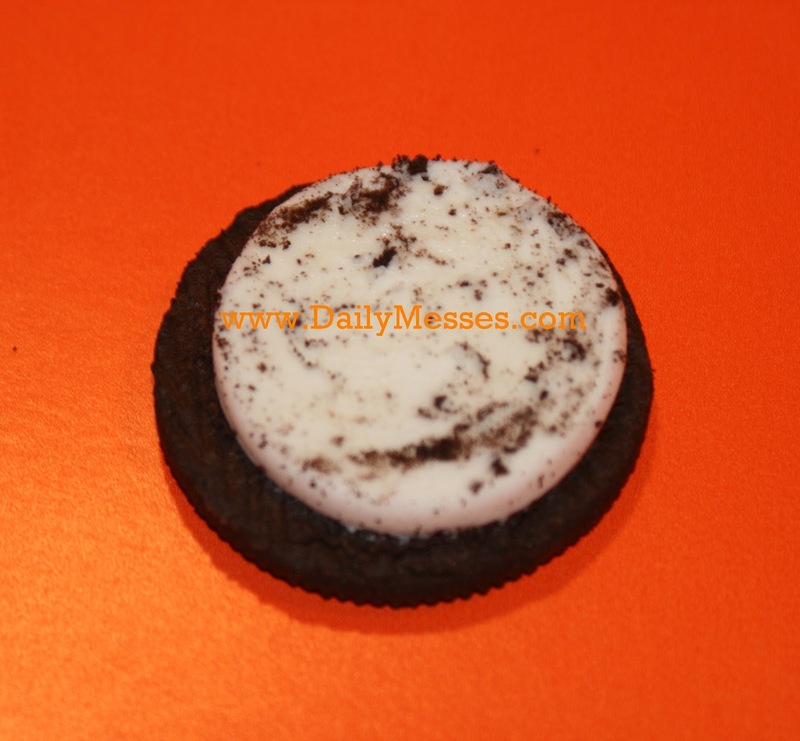 Take 1 Oreo apart, and place on the plate filling side up. This will be the base. 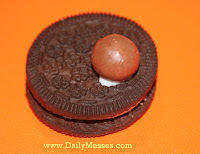 on the back of a Whopper and stick to the cookie to create the head. 4. Pipe on eyes using icing. 5. 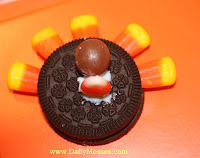 Next, attach another candy corn with icing for the waddle. cookie standing up and stick into the filling of the base cookie. If I did these again, I would trim the end of candy corn to create a beak and attach to the head with icing.